Judge Bolanos said last week she is inclined to throw out $250 million in punitive damages in favor of DeWayne Johnson. She is also considering dramatically reducing the remaining award. Her final decision is due by Oct. 22. 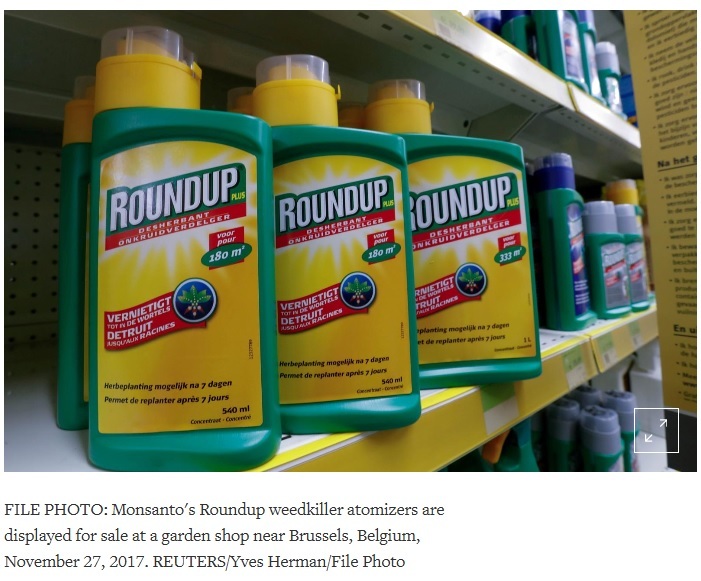 (Reuters) – Bayer AG’s Monsanto unit has received a tentative ruling granting a new trial on the $250 million in punitive damages awarded by a jury to a groundskeeper who alleged the company’s glyphosate-based weed killers, including Roundup, gave him cancer..
During the hearing, Judge Bolanos also said she was troubled by the $33 million in “non-economic” pain-and-suffering damages the jury awarded. Johnson’s lawyer argued for $1 million a year for the next 33 years. But Monsanto’s lawyers argued that Johnson is expected to live for two more years — an argument that appeared to resonate with Judge Bolanos who mulled out loud about fashioning an order reducing the entire verdict to under $9 million.